The Jim Butler Auto Group wanted to know more about consumer appeal of digital vehicle subscription services. So the group that’s comprised of eight dealerships orchestrated a survey as it began to pilot its own subscription service. On Thursday, the Jim Butler Auto Group released findings from its 2018 Automotive Technology Survey. 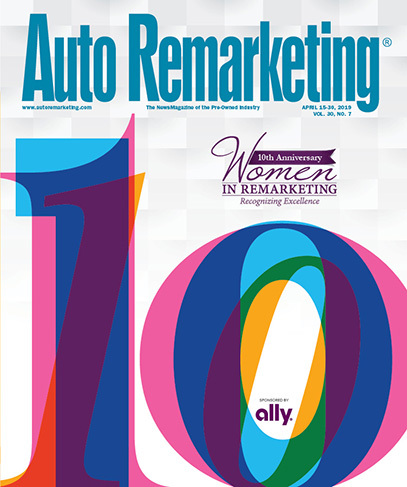 What perhaps pleased this group and maybe others that are considering their own subscription offering, the Jim Butler Auto Group survey showed half of all survey respondents said they would consider subscription vehicle services that bundle the cost of a car payment, insurance and maintenance into one monthly service fee. In fact, the group learned that 70 percent of 18- to 34-year-olds and 61 percent of 35- to 54-year-olds expressed an openness to this model. 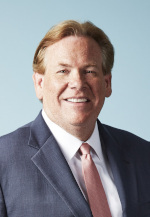 “The increasing popularity of subscription services, paired with ride sharing, innovations in driving automation and e-commerce, are challenging established notions of vehicle ownership and the purchasing process,” said Brad Sowers, president of the Jim Butler Auto Group. “This has significant implications for brand loyalty today and the ways we will acquire and use vehicles tomorrow,” Sowers continued. The survey, distributed between Oct. 28 and Nov. 8 to more than 30,000 drivers nationwide, found advanced auto features weigh heavier than brand loyalty, with more than half of respondents saying they would be willing to abandon their preferred vehicle make or model to obtain the specific technologies they want. The project also showed half of all respondents said they would pay more for a vehicle that had the technology features they want. Currently, the Jim Butler Auto Group is piloting new e-commerce capabilities, giving buyers nationwide the ability to conveniently and transparently complete online purchases through its Jim Butler Kia, Maserati and Alfa Romeo dealerships. The pilot follows the dealership’s October introduction of an automotive subscription service, driveBLACKTIE, which combines the convenience of technology with the new and pre-owned variety of the auto group’s $60 million inventory across eight Alfa Romeo, Chevrolet, Chrysler Dodge Jeep Ram, Maserati and Kia dealerships. The group explained driveBLACKTIE’s mobile feature builds on its technology strategy, which began with a robust e-commerce presence that has served vehicle buyers in 32 states and has helped make Jim Butler one of the top 15 Chevrolet dealers nationwide and a recipient of the Chevrolet Dealer of the Year Award three years in a row. Turning back to the survey results, while recent headlines suggest automakers are moving closer to fully autonomous vehicles, the Jim Butler Auto Group found that 72 percent of respondents displayed some level of discomfort with operating or riding in self-driving vehicles. And nearly 60 percent went further, expressing outright distrust of the technology. The survey revealed driver assist features, including hands-free calling, built-in navigation and lane departure warnings, fared better, with 60 percent or more respondents saying they were “somewhat” or “very” comfortable with the technologies. “Right now, consumers are looking to technology to help empower their driving, but not necessarily to become the driver,” Sowers said. “With attitudes varying by age, fully autonomous vehicles could gain in greater acceptance over time, but for many consumers today, self-driving technology still seems like science fiction,” he continued. While nearly 30 percent of consumers were neutral to very comfortable with riding in or operating a self-driving vehicle, only 19 percent said they believed flying vehicles would become commonplace in their lifetime. This belief was highest among 18- to 34-year-olds, with nearly 30 percent believing they would commonly see flying cars in their lifetime. Despite the prevalence of e-commerce, the Jim Butler Auto Group learned just 9 percent of respondents have ever bought a vehicle online. Overall, consumers expressed greater comfort purchasing new vehicles versus pre-owned vehicles online (36 percent to 28 percent), with price, specific make/model and simplicity of transactions, and specific tech features ranking as most important factors to online new-vehicle buyers.